I came across this beauty when I was having an organise of my beauty bits and I can’t believe I haven’t blogged about it sooner. Look at it – it’s a STUNNING colour. Part rich blue, part shimmering purple. If you like colour then I dare you not to love this. It’s simply gorgeous. I really think that the pictures speak for themselves. The colour is gorgeously pigmented with a pretty shimmer, but not glitter. The shadow really is as smooth as silk – it almost feels like a mousse, it’s that lightweight and blendable. The pan contains 2.5g of product, and feels really big. 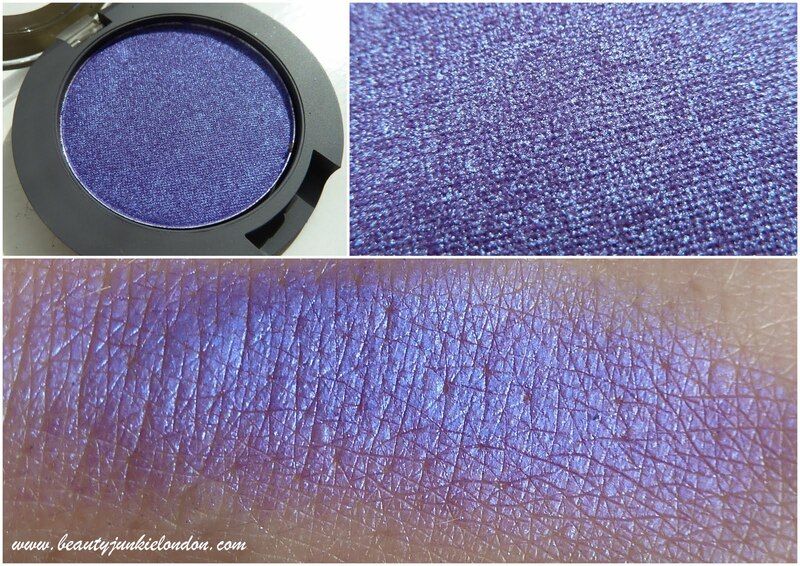 Accessorize Iconic Eyeshadow in ‘Ultra Violet’ – SWATCHED. What I’d love to know is how would you wear this shadow? As a neutral lover, it’s hard to know how to wear this without it feeling intimidating! What colours would you wear with it – suggest a look and I’ll give it a go! 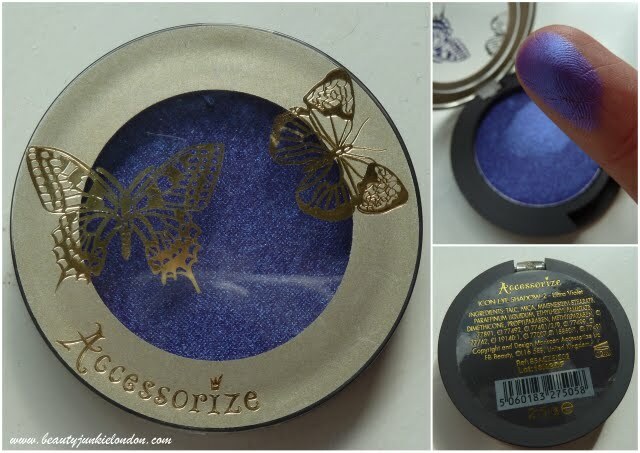 The Accessorize make-up is available in Superdrug & Accessorize Stores – the shadow costs £4 (a bargain in my opinion). PR sample provided in goody bag WAY back when the range launched. Bad beauty blogger. I would use this as a liner over usual black liner on the top lid just to make it pop. I’d also use this as a liner… or just over the lid so you get a glimpse of it when you blink. It’s a beautiful colour.